Congratulations to Catherine Banks, whose play It Is Solved By Walking has been named a Finalist for the Masterworks Award. Click here to learn more about the five incredible Finalists. The Lieutenant Governor of Nova Scotia’s Masterworks Arts Award is the largest art award in Nova Scotia. It honours excellence in all creative media. 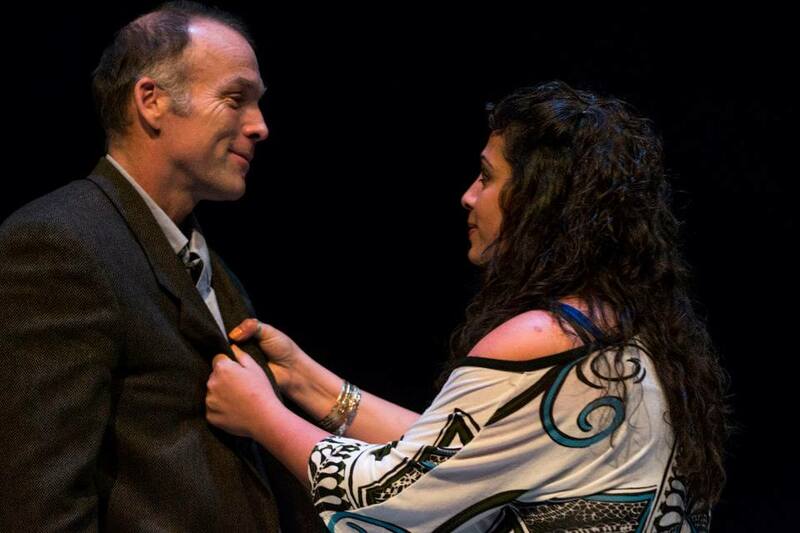 HomeFirst Theatre congratulates all of this year’s Merritt Award nominees! 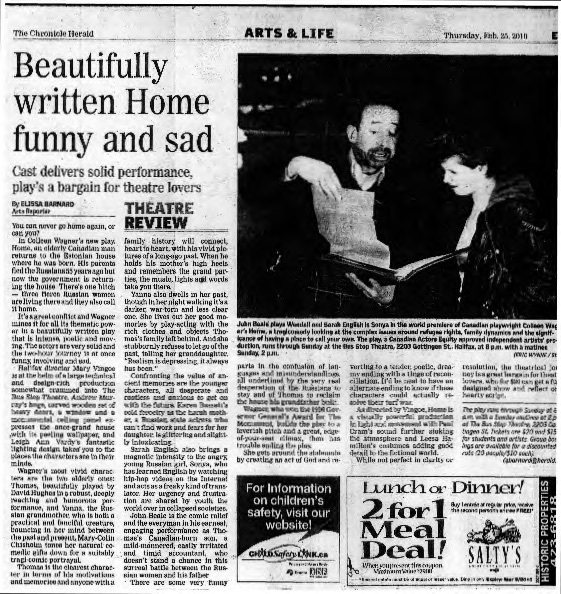 On the list are five nods to It Is Solved By Walking, including Outstanding Performance by an Actor in a Leading Role (Hugh Thompson), Outstanding Lighting Design (Ingrid Risk), Outstanding New Play By a Nova Scotian (Catherine Banks), Outstanding Original Score (Paul Cram), and Outstanding Set Design (Sue LePage). Elissa Barnard and Andrea Nemetz of The Chronicle Herald named Solved one of Nova Scotia’s best plays of 2014, calling the show “a rich sensory and intellectual experience, marked by strong performances and steeped in poetry, with an elegant, spare vision in direction and design”. Read the full article here. Gordon Jones calls Solved “a cerebral, sensual and very classy production”. 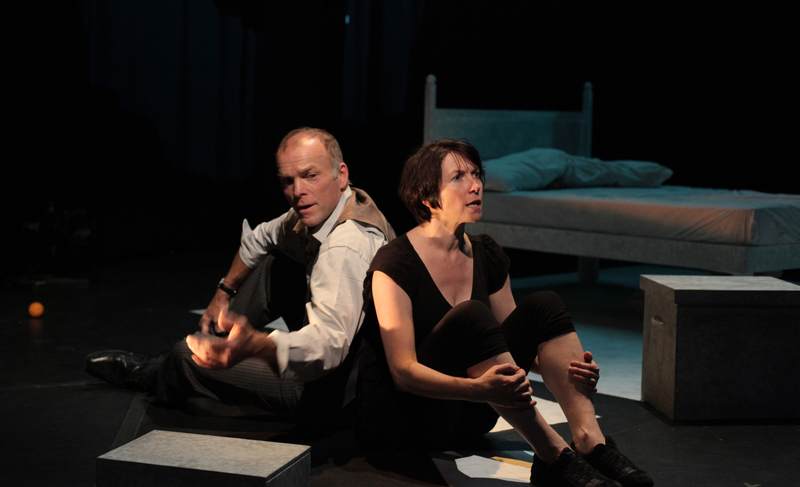 Elissa Barnard of the Chronicle Herald calls It Is Solved By Walking “poetic, beautiful, intriguing and brave”. Click here to read the full review. 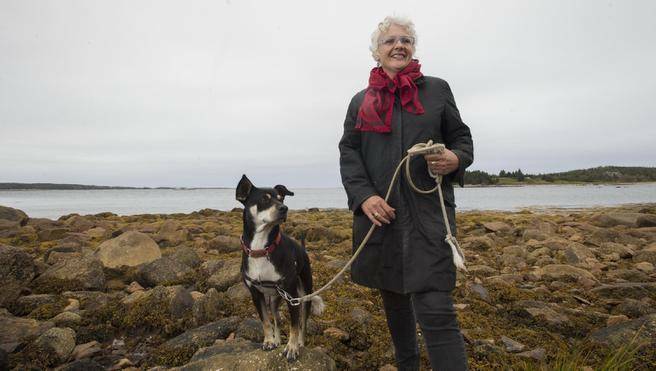 Click here for more from Catherine Banks about walking, writing, poetry, and her Governor General award winning play, It Is Solved By Walking. Mary Vingoe’s Refuge, first produced by HomeFirst and Eastern Front Theatre in 2013, has been named a finalist for the 2014 Masterworks Prize. Click here to read more. “An unflinching look at Canada’s relationship to those seeking help”. 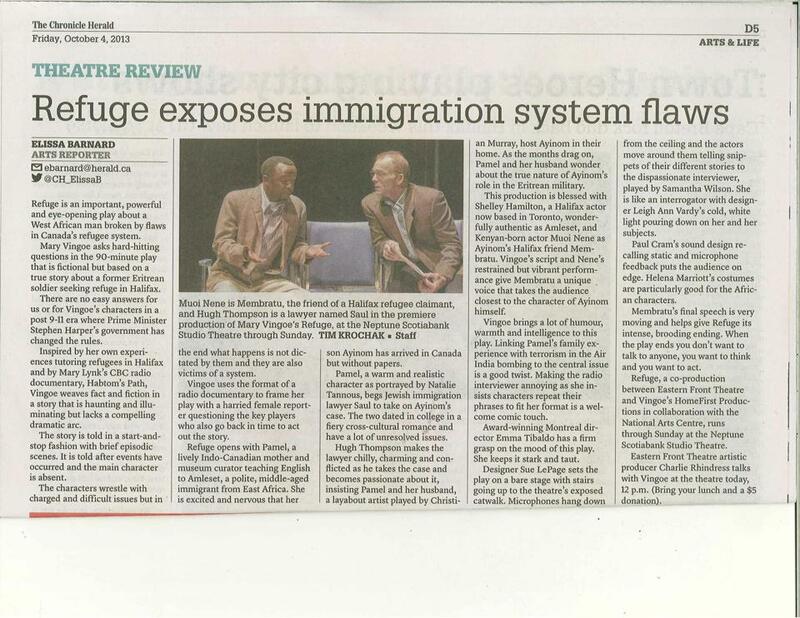 Click here for Kate Watson’s take on Refuge. Elissa Barnard calls Colleen Wagner’s script “beautifully written”.